Do your vocal warm-ups now. You’ll be screaming, “Connie! No! Get out of there!” for at least one season, two if we’re lucky. Bravo revealed their upcoming two-part anthology series based on the Dirty John podcast back in January, and today they’ve revealed their first, excellent casting choice. 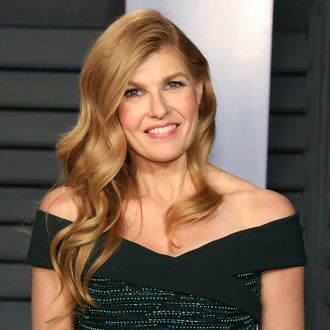 Per their announcement, Connie Britton will star as Debra Newell, a successful interior designer with some very observant daughters and extremely bad taste in men. Drawing from L.A. Times’ reporter Chris Goffard’s podcast and serialized investigative piece, the first season of the two-season Dirty John show will explore the relationship between Newell and John Meehan, a dangerous con artist who brought suspicion and violence into the Newells’ lives. As evidenced by Newell’s Today show appearance (warning: a ton of spoilers), if casting decisions are made based on hair and talent, as they should be, Bravo absolutely nailed this one out of the gate.